Hello, friends! Good to connect with you again! I hope you are doing well, as many of us wrap up summer activities, and jump back into the routine of work and school. I am still hanging out at the Patel College, and, if all goes well, I will graduate in spring 2019 (insert super-happy dance)! The look of my blog has recently changed, and I’m going to try and stick with the statement in my header, and offer innovative, thought-provoking content, while having fun in the process! So, let’s get this party started! Thank you so much for taking time out of your busy schedule to talk with me about SFT! Why did you decide to launch a straw-free movement? 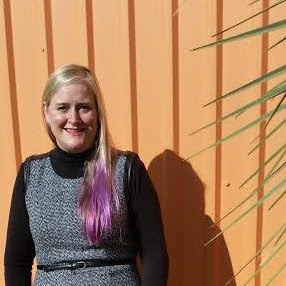 The movement was started by our organizations' founder, Kristen Summers. 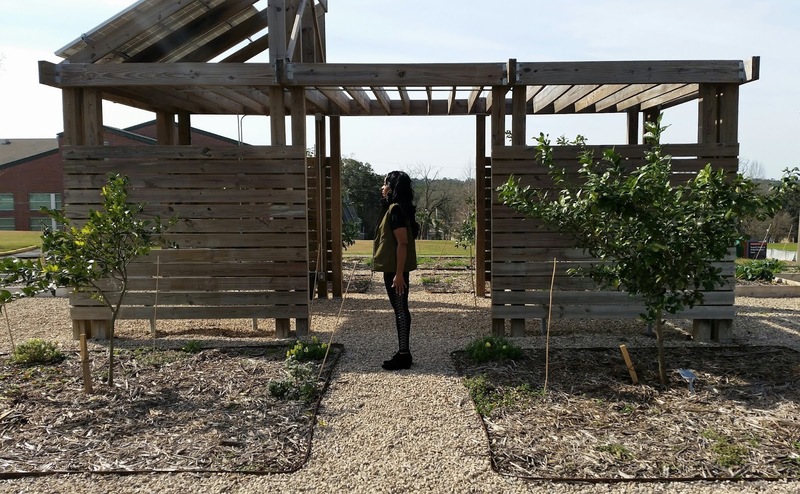 She could see the need for a community-driven organization that could make positive changes in the way Tallahassee deals with not only single-use plastic straws, but all single-use plastics. Shortly after the groups creation, Kristen and I happened upon one another and realized we share similar interests and aspirations to limit the use of single-use plastics in our states capital. Straws can be seen as a “gateway plastic” to get the average citizens foot into the world of sustainability. Who is your audience, and what messages do you want them to hear? We believe the issue of single-use plastics can be fixed with a three-pronged approach. 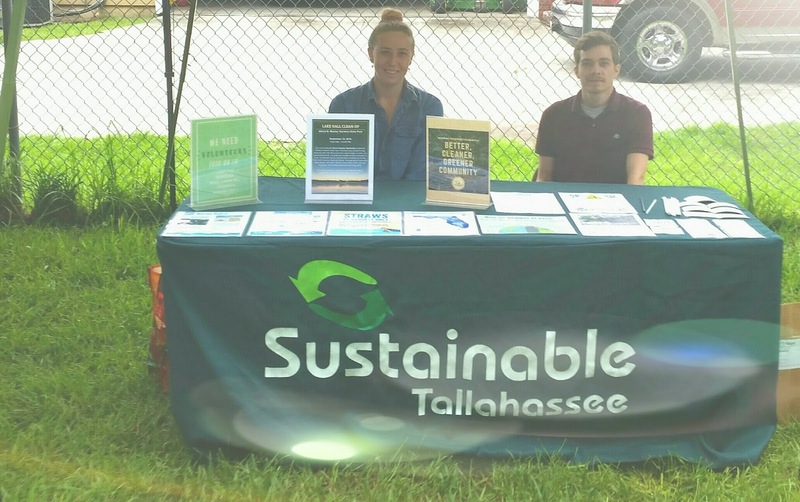 The community, business, and local government/non-profits need to all work together towards a straw-free, and plastic-free Tallahassee. 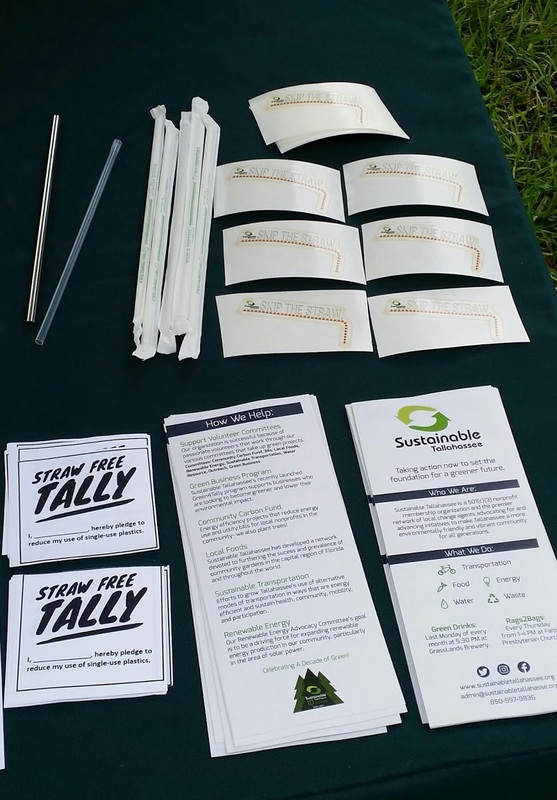 Other major cities in our great state have already made the switch to “straw-free”, so there is no reason why Tallahassee, Florida’s capital, couldn't do the same and be a leader in sustainability. Where would you like to see SFT go over the next few months, and years? The ultimate goal for SFT is to work with the local government to put in place an ordinance, which would limit, or ban, the use of single-use plastic straws. After this point we would like to focus on other single-use plastics. In the coming months, we are going to focus on building the organization and getting the community involved, and aware of the issue. 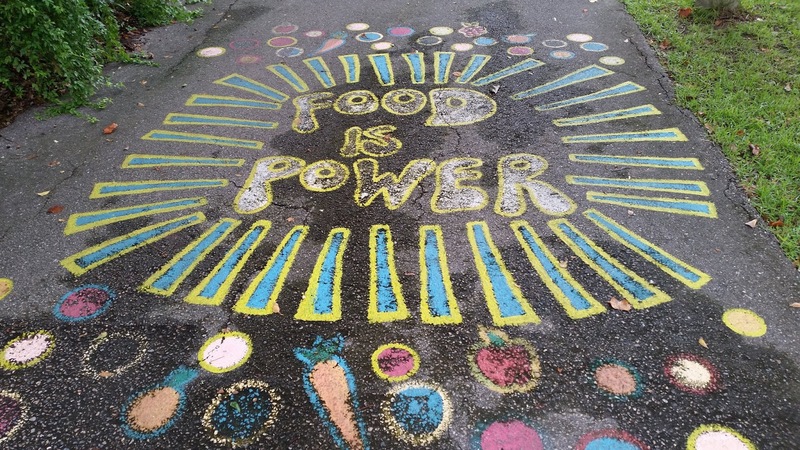 How have the SFT social media platforms helped you to get your message out? Have you seen steady growth, since using social media to engage with the community? Social media is a very important tool in the 21st Century. Different social media accounts can be used in a variety of ways, leading to more engagement with the community. We are currently building our social media presence, but have seen a steady growth on sites such as Facebook and Instagram. The groups Facebook page will be used to start a conversation with the community and get citizens talking about the movement, while sites such as Instagram and Twitter will be used for status updates, membership and partner businesses advertisement, and sharing promotional or heartfelt imagery. Yes it is! At my local farmer's market, to visit SFT volunteers! The power of partnership! When we work together, we can accomplish great things. I am totally for being straw free! Straws are polluting our oceans and killing our marine life. There are medical conditions where the person needs to use a straw - such as someone with Parkinson’s disease. In those cases I think we should use permanent stainless steel straws that can be cleaned and reused. Thank you for an informative blog - hopefully restaurants will become more environmentally conscious and go straw free! Thank you for visiting! I'm so glad that you brought up the point about how sometimes straws are medically necessary. I wonder how hospitals and assisted living facilities would respond to the idea of reusable straws. Thank you! Well, I tell ya. I don't but plastic straws but I do have patiently waiting in my cart (for an upcoming purchase along with other goodies), glass straws. I love the reusable element and, the see-through glass photographs well. Most of the time, I don't fancy one and done products. The overall waste is well, a waste. I like things that can do more than one job and be used many, many times. Plastic. No plastic. Going back to plastic though, during The Great Declutter of 2016 when I ditched 95 percent of my stuff, plastics was a big thing. I had storage boxes of all sizes and when I got rid of them, we were able to breathe better in the house and my headaches became so much less. It was heaven. Cheers to you, Rebecca with a great big side of boogie boogie. Hi Ivy,😊 Thanks for stopping by!! I have quite a bit of Pyrex (glass, I think? ), and some stainless-steel containers, and some plastic, a variety of storage items. Trying to cut back on plastic, disposable cutlery…I hope your Monday has treated you well! Pyrex, glass, yes. Great stuff. Love it. And glass jars. I use them a lot as well. I'm not so into plastic storage for food but there was a time back when the world was flat, when I had a BILLLLLLIIOOOONNN pieces of plastic ware storage for food. Monday was good. Headed into a 4-day weekend soon. Hot dog. Hope you're good too! If you're on IG, come on by. It's great fun over there. Cheers and boogie boogie. More often than not, we mindlessly end up using single-use plastic straws while ordering drinks. They add up to a lot over time. With the availability of different alternatives like metal or glass straws, switching from plastic straws is even easier. I think being more aware of our choices is a good place to start. And, SFT is doing a great doing in spreading this message. Thank you so much, Rebecca, for introducing us to SFT. I wish them success in their endeavors. P.S. Your blog looks awesome with the new design! This is what I really wish! Thanks for the interview! Hi Rena, yes, me too! Thank you for stopping by!! Ich liebe Bayern! My husband has been using metal straws for the past few years. He bought some reusable rubbery ones on Amazon that are really fat, perfect for milkshakes and smoothies, since the metal ones tend to get clogged with thicker drinks. Every little bit helps, right? Plastic bags mean disaster for me, I sow photos of sea birds or tortoises digested plastics etc. or wrapped in plastic bags. That's our fault, we humans are a very harmful specy for the animals and the world. Thank you for this useful post. Yes, you are right, it is horrible to see these animals needlessly suffering. And, why do we use plastic, a persistent material, for so many perishable products? Food being number one, of course. Thank you for visiting!! Good to hear from you!